Sandsjöbacka Trail Marathon 34km - My first trail race! This year, I felt weak on Monday the 8th. I was irritated and mad.... "Was this possible!?... NO way!" - so the day after I went out for a short run and everything felt quite alright afterwords. It was just a false alarm I guess. But to be sure I decided not to run or train before the race. Just some Yoga, stretching and relax. The day before the race I prepared everything that is needed for the race - even more! A single detail can sabotage a race. So I took my time and every single peace of gear was ready the evening before the race. At 3:30 a.m. the phone alarm went on! I woke up, made two sandwiches, a cup of coffee and... I felt really good! Not like before - like during Lavaredo the year before. I was looking forward to run this time! I needed a good run after all that suffering due to really silly and perhaps idiotic injuries.... definitely avoidable injuries! Another last check of the running gear and I was out at 4:30. Radana was waiting for me. She had to DNS due to an ankle sprain. But she was also providing the control points wit a lot of food too! Great! The race started an 6:00 a.m. from the Tjolöholm castle. I spotted directly a nice empty spot in the rush, after a few meters there was a group of runners and friends. Niclas, Martin, Fredrik... they were pushing a nice pace. Maybe too hard but I wanted to race, not just run, so I stayed there and pushed the pace too. That lovely trail at the beginning of the race is so nice that I would really like to come back sometimes and explore those trails! Lovely nature indeed! After approx. 11km we were out on a asphalt road heading towards Fjärås. It's the longest asphalt section of the course I guess and very, I mean really boring! Still, it's quite nice to see the Fjärås church ahead all the time. I pushed the pace even more and soon enough it was me leading a group of runners and chasing those tiny headlamps ahead. Those 4km were a good sign for me, the foot was responding well, I was not tired at all, pushing my luck a little bit but still not much. The idea was to come really close to the pace that the best runners run in that section and see after 30km if the foot injury is getting better and of course to get some kind of feedback of my running form as well. We were running now on a "motorway".... a really nice gravel road and later on some interesting trails heading to Lindome. This is where the Bohusleden starts and the Hallandsleden ends. I enjoyed a lot that section. That was fun! Running fast enough and still relax a little due to an easy surface was good. I really needed that - I knew what was in front of me! Lindome - 40-ish km and half of the race was done! Robert Axelsson was there in front of me taking some pictures! It's always a great thing to see a friend in the middle of nowhere! Thank you for all the support and all the great images and videos! Great job m8! After Lindome there is a section heading on the "other side of the motorway" the wonderful "Sandsjöbacka drumlins". "A drumlin (derived from the Gaelic word druim (“rounded hill,” or “mound”) ) is an elongated whale-shaped hill formed by glacial ice acting on underlying unconsolidated till or ground moraine. Its long axis is parallel with the movement of the ice, with the blunter end facing into the glacial movement. Drumlins may be more than 45 m (150 ft) high and more than 0.8 km (½ mile) long, and are often in drumlin fields of similarly shaped, sized and oriented hills. Drumlins usually have layers indicating that the material was repeatedly added to a core. The Sandsjöbacka drumlin, is a whale shaped stoss side drumlin which is stretched in the direction of ice movement, northeast-southwest. In the southwest there is a rock support. The drumlin reaches 95 m above sea and has a significant mark at the 83m level that marks the boundary of the marine area. Look south in beautiful clear day and you can see the chimney at Södra Cell in Värö Backa, which is at 36km from the summit." This is a section I don't have much memory of until around km 50 when running on a lovely singletrack Niclas and Fredrik came. I was quite happy to have somebody to run with but the pace they were running was quite aggressive. After a short flat section I checked my watch and the pace was 5:15/km. Speedy! After that section I felt something in my injured foot! At that point I knew what I had to do. I had to say goodbye to Niclas and Fredrik and slow the pace down, take it easy and restore my running. Something was not good. So I did that and it was on the rocky and icy section just after the Kyrkoby-Dala aid station that Jörgen Forsbacka and Joakim Bergman passed me too. I just was not competitive at all at that point. It can be really frustrating when the body and mind are feeling great but you have to slow down in order to preserve an injured foot from getting worse. I had to play smart, I had to have in mind that I have other races this year and that I'd hated the idea of a loooong recovery period of time. So I ran trying to focus on breathing and relax instead, enjoyed the wonderful nature during that section of the race, the views and avoiding the icy parts on those slippery rocks. It's during this part that I noticed that I was actually running at the same pace as Jörgen Forsbacka and Joakim Bergman that passed me before. I felt better now, I was following the two runners from distance without pushing it and trying my best to preserve my energy and just relax. This section is not extremely technical and if my foot had not been injured I'd fly there, it's actually a section that I like and that fits well my running. But now, I had to follow my race plan and stick to it no matter what! The download part in the woods around the km 57 was a nice one, but the icy trails didn't permit any relaxed running. Everything froze during the night so every step was a lottery against a very possible ankle sprain! So I rolled patiently and safely to the gravel road. That part was not either easy.... some mud, ice, a lot of water..... but I could at least run a little bit faster and get warm again. At this stage of the race I needed to refuel. I was a little bit low on energy but I waited the next aid station "Spårhaga" to refuel. We were there... the beloved Mölndalsravinen! Strange but true but from the very first meters of the section I noticed that there was not "enough" mud on the trail.... everything was too easy. OK, you have to pay attention on each and every step, but it was easy... almost "a walk in the park"! I could actually run and enjoy the section here and there.... quite funny and strange feeling..... I was very pleased that we had no need to use the headlamps there and in that part of the race, getting out the Mölndalsravinen I understood that we wouldn't need to use the headlamps to the very end of the race. But I realized another thing. That if we had pushed just a little bit harder from Sisjön we could made it under the magic 10hrs line. Whatever, I understand too that pushing the pace too much could have worsen my foot too, or worse! We were on top of Änggårdsbergen. The view was really amazing and the last section was an easy rolling downhill gravel road..... the pace was an easy one, there was no need to push it now.... we got outside to the asphalt to the villa area just outside the Gothenburg botanical garden (one of the larger botanic gardens in Europe with an area of 175 hectares). By the way, that last section of the course in the Gothenburg botanical garden just before the exit from Änggårdsbergen has the fastest trails... I just adore those lovely trails! This is the last trail section of the Sandsjöbacka Trail race that usually takes place during the second weekend of January. The Änggårdsbergen nature reserve offers a varied landscape featuring valleys and ridges, winding walking paths, lakes and beautiful scenery. 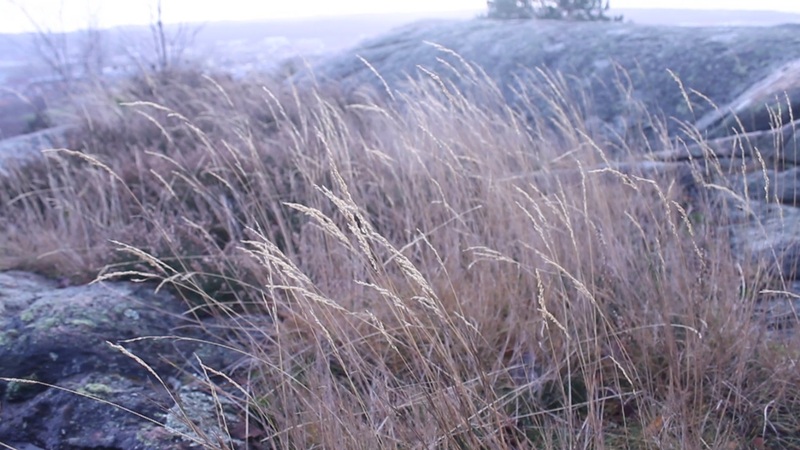 The varied ecological environment and fauna contains several examples of nature typical of Western Sweden, such as heathland and moorland. Änggårdsbergen lies next to the Botanical Gardens and stretches from the green parks of western Gothenburg towards the nature area Sisjön, south of the city of Mölndal.